In 1967, William F. Austin founded our company with the simple premise, "Alone we can't do much. Together, we can change the world." We live that vision every day – and it's why with every Starkey Hearing Technologies' product purchased, we donate to Starkey Hearing Foundation to help more people in need around the world receive the gift of hearing. More than 1 million hearing health care services provided to people in need worldwide. Find out more about Starkey’s newest innovations, products, and programs at www.starkeypro.com. The Inspire programming software is your gateway to the best fitting experience possible. Inspire continues to evolve to be more intuitive than ever before, yet still allow for the fine adjustments that each individual patient requires. This session will be a live demonstration of the Inspire software. 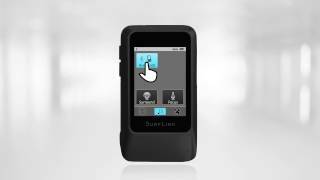 The Thrive Hearing Control Mobile App offers users of Livio AI and Livio devices everyday connectivity and personalization. Thrive is easy and intuitive to use. This session will provide an overview of all Thrive functions and features. Patients deserve the best hearing possible, but also the best service possible. By using the power of cloud-computing, hearing care professionals can now provide adjustments to patients when-and-where they need it. This course will introduce Starkey's new Hearing Care Anywhere remote programming technology. With the introduction of Livio AI Healthable Hearing Technology, Starkey began the process of redefining the hearing aid. This continues with the next evolution of Livio AI, the Thrive Hearing Control Mobile App and the Starkey Hearing Technologies 2.4 GHz patient-focused accessories. This session will provide an overview of the latest Starkey Healthable Hearing Technology, hearing aids, accessories and features. 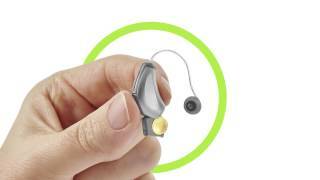 Starkey's wireless platform provides fast and efficient performance. This allows for a versatile and flexible CROS system. This session will provide information on all Starkey CROS options, programming within Inspire and details on how wireless accessories work with CROS technology. 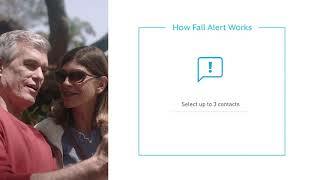 Livio® AI is the first hearing aid that can detect when a hearing aid wearer has fallen and send alert messages to selected contacts. Learn more about Fall Alert. Learn how Livio® AI hearing aids use the most sophisticated and intelligent technology to better replicate natural hearing and provide superior sound quality. Learn more about Hearing Reality. Our best sounding hearing aid just got better. 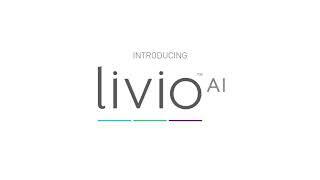 Livio™ AI The world’s first hearing aid with sensors and artificial intelligence. A hearing revolution is coming August 27, 2018. Beasan McKee, Au.D. discusses the differences between two helpful tools within the Inspire software - Best Fit and Target Match. Lawanda Chester, Au.D. demonstrates how to program Balance Control in the wireless CROS system and how to give that feature to patients as a user control. Dennis Van Vliet, Au.D. demonstrates how to take deep ear impressions and provides hints to help make it easier. Carolyn Pinkerton, Au.D. shares the new personalized Initial Fit Protocol designed to increase patient satisfaction and comfort right out of the box. Jennifer Groeneveld, Au.D. shares how the new rechargeable battery option is changing the patient experience with amplification. Stephanie Loccisano, Au.D. shares tips for troubleshooting Halo 2 and the TruLink app. Sejal Kuvadia, Au.D. explains how to demo the CROS system with a patient while in the Inspire software. Luis Camacho, Au.D. shares some quick and simple troubleshooting tips for SurfLink Mobile 2. Luis Camacho, Au.D. shares how to pair the Starkey Halo hearing aids to a patient’s iPhone. Andrea Hannan-Dawkes, Au.D. highlights how Starkey’s Synergy hearing aids are restoring patient’s ability to enjoy music. 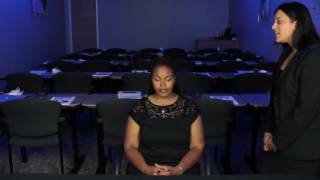 Talya Zell, Au.D., demonstrates how to setup automatic memories for phone, audio, and car in your TruLink app. Judy Grobstein, Au.D. 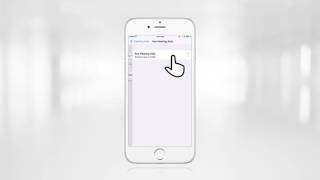 shares how to sync the SurfLink Mobile 2 to any of Starkey’s wireless hearing devices. 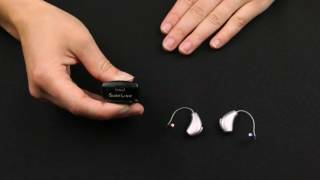 Michele Hurley, Au.D discusses how to sync the new SurfLink Remote Microphone with any of Starkey’s 900 sync hearing aids. 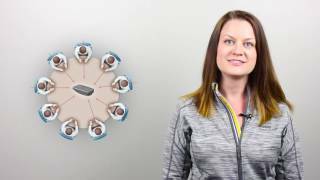 Employees of the Starkey Education & Training department share the top 4 highlights of how the SurfLink Remote Microphone is optimizing communication. January 8, 2019 Starkey Hearing Technologies announces the first-ever Fall Detection and Alert capability within a hearing aid, as well as Heart Rate Measurement and built-in Virtual Assistant, on the eve of the Consumer Electronics Show. December 19, 2018 Starkey® Hearing Technologies is pleased to be a CES 2019 Innovation Award Honoree for its revolutionary LivioTM AI hearing aid. November 15, 2018 Starkey shares that Livio™ AI, the world’s first hearing aid with embedded sensors and artificial intelligence, has been named a 2019 CES Innovation Awards Honoree in the Accessibility product category! July 17, 2018 President Bill Clinton, Billy Crystal, Huey Lewis, and other celebrities and philanthropists gather for star-studded evening. March 16, 2018 A leading innovator in hearing technology, Starkey Hearing Technologies is pleased to share that it has been recognized as a 2018 Manufacturing Leadership Awards winner for its outstanding achievement in operational excellence. Chris Hillman, Starkey Hearing Technologies’ chief operations officer, has been selected to receive this prestigious award in the Visionary Leadership category, which places him among an esteemed group of leaders who are shaping the future of global operations. March 12, 2018 Walgreens and Starkey Hearing Technologies Introduce Hearing Health Services at Two Minneapolis-St. Paul-Area Walgreens Stores. March 6, 2018 World Hearing Day is held on March 3 each year by the World Health Organization to raise awareness on how to prevent deafness and hearing loss and promote ear and hearing care across the world. To celebrate this important day, Starkey Hearing Foundation hosted a special hearing mission in Zambia where hundreds of people were fit with complimentary hearing aids. Special attendees at the mission included the First Lady of Zambia Her Excellency Esther Lungu and musical group The Tenors. February 5, 2018 Starkey Hearing Technologies introduces smallest rechargeable hearing device which was announced Jan. 4 at Starkey’s Hearing Innovation Expo in Las Vegas. The product is now available to consumers through Starkey’s vast global network of hearing professionals and audiologists. November 9, 2017 Thousands who do not have access to hearing healthcare will receive life-changing hearing aids.MINNEAPOLIS (Nov. 8, 2017) – Today, Spectrum Brands, Inc.’s Rayovac battery division presented $175,000 to Starkey Hearing Foundation founder, Bill Austin. From Oct. 1, 2016 to Sept. 30, 2017, Spectrum Brands committed to donate 25 cents of each sale of Rayovac hearing aid batteries to Starkey Hearing Foundation, which gives hearing aids and hearing healthcare services to people in need around the world. September 27, 2017 Starkey® Germany, a division of one of the world’s leading hearing technology companies, Starkey Hearing Technologies, will showcase its innovative Halo® 2, SoundLens® Synergy® and Muse™ hearing aids and offer an exclusive first look at its new Acuity™ Immersion technology at the 2017 International Congress of Hearing Aid Acousticians (EUHA 2017) Oct. 18-20 in Nuremburg, Germany. September 18, 2017 Bill Austin, Founder of Starkey Hearing Foundation, named First Goodwill Global Ambassador for Ear and Hearing Health during high-level event on hearing health at United Nations headquarters with President Bill Clinton. August 29, 2017 Muse™ iQ, smartphone compatible Halo® iQ, SoundLens® Synergy® iQ hearing aids and new TruLink® Remote now available.MINNEAPOLIS (Aug. 28, 2017) — Starkey® Hearing Technologies, one of the world’s leading hearing technology companies, is launching a new line of hearing aids based on the company’s cutting-edge research in virtual reality, advanced neuroscience, and audiology and signal processing. August 8, 2017 Former Intel executive joins Starkey Hearing Technologies executive team to spearhead global hearing health technology and product innovation.MINNEAPOLIS (Aug. 7, 2017) — Starkey® Hearing Technologies today announced the appointment of Achin Bhowmik, Ph.D., as chief technology officer and executive vice president of engineering. July 7, 2017 MINNEAPOLIS (July 6, 2017) — Starkey® Hearing Technologies, one of the world’s leading hearing technology companies, today announced the appointment of Brandon Sawalich as president. He will succeed William F. Austin as president. March 25, 2017 Industry leader accepts integral role amid timely discussion on the future of hearing healthcare.MINNEAPOLIS (March 22, 2017) —Starkey® Hearing Technologies is pleased to announce that its Senior Vice President, Brandon Sawalich, has been elected as the new Chairman of the Board to the Hearing Industries Association (HIA). HIA announced Sawalich as its new Chair at its recent Annual Meeting in Washington D.C., March 14-16. Starkey Hearing Technologies Sponsors Fellows-In-Training Travel (FITT) Student AudiologyNOW! February 15, 2017 Leading American-owned and –operated hearing aid manufacturer sponsors 20 audiology graduate students. January 28, 2017 MINNEAPOLIS, MN--(Marketwired - January 23, 2017) - Over the next two months, Starkey® Hearing Technologies, the only American-owned and -operated hearing aid manufacturer, will release a suite of new technologies and applications to bring patients more of what they want from their hearing devices. January 17, 2017 New complete ear health product line seeks to improve overall hearing health and reduce the time individuals wait to address hearing issues. September 29, 2016 Starkey Hearing Technologies showcased its revolutionary Synergy® hearing technologies at the 2016 TechCrunch Disrupt in San Francisco on Sept. 12-14. Over 200 people stopped by the Starkey booth and were wowed by Starkey’s next generation of Made for iPhone hearing aids, Halo 2. Livio AI & Thrive: The World's First Hearing Aid with Integrated Sensors and A.I. October 22, 2018 Luis F. Camacho, AuD, FAAA Hearing care can be the gateway to better over health. Starkey's Livio AI takes the best hearing technology and combines it with the first integrated sensors and AI for body and brain tracking. This course will provide an overview of the Livio product family. The Right Power, Performance and Personalized Solution for Any Situation! May 7, 2018 Luis F. Camacho, AuD, FAAA With Muse iQ and Halo iQ, Starkey offers the power, performance and personalized solutions for any situation. This session will focus on the latest products to the iQ family with an emphasis on the wide range of gain available. October 30, 2017 Luis F. Camacho, AuD, FAAA An overview of Starkey's new Muse iQ, SoundLens Synergy iQ, and Halo iQ products that utilize the latest advanced signal processing, Acuity Immersion & Immersion Directionality, to focus on aspects of sound and hearing that contribute to the listener's spatial experience. The course will also introduce Starkey's latest 2.4 GHz accessory. June 12, 2017 Sejal Kuvadia, AuD, Luis F. Camacho, AuD, FAAA This course will examine the information available in the Starkey Inspire Data Log and applications for using that information to enhance the patient’s journey with amplification. August 8, 2016 Luis F. Camacho, AuD, FAAA Today’s course will cover Starkey’s latest 900-MHz wireless system. We’ll start from the beginning with some background on the development of wireless technology, and look at the various wireless systems that are available in the hearing aid industry. Finally, we'll move into the details of Starkey’s latest 900sync technology and review updates to accessories, to software, and to product families. April 25, 2016 Luis F. Camacho, AuD, FAAA Luis Camacho: I’m excited to introduce a recently released line of products and product families through the new Starkey platform, Synergy. Today’s session will be an overview of the new line. In upcoming courses, we will provide more detail about specific products, features and other information relevant to the new Synergy platform. Over the last few years, Starkey has been focused not simply on hearing loss, but also on the concept of hearing as a major component of a person’s overall well being. We truly believe that to hear better is to live better. We’ve been conveying this message not only to hearing professionals, but also to the general public to raise awareness of the benefits of having the best hearing possible. Hearing loss can impact many aspects of a person’s life. December 14, 2015 Michele Hurley, AuD, FAAA There is a need to be skilled at taking impressions for a number of reasons. One of those is the opportunity that lies in being able to be proficient at making ear impressions. The opportunity to provide custom solutions for your patient in a non-custom world is one of the key benefits of being skilled and proficient at making ear impressions. The opportunity to demonstrate your professionalism through the care and effort that it takes to provide the best impression of anatomy, ear texture, and desired product are essential. Although we may be fitting primarily non-custom technology, there are a lot of other options where we might need an impression. We need to be able to maintain those skills. Anti-Aging for the Auditory System: No Botox Needed! Acceptable Noise Levels: A Useful Tool? July 28, 2014 Brent Edwards, PhD Editor’s Note: This text course is an edited transcript of a live webinar. Download supplemental course materials.Dr. Brent Edwards For the past 100 years or so, auditory research and clinical issues have focused on the auditory periphery. March 18, 2013 Luis F. Camacho, MA, FAAA Thank you for joining me here and taking time out of your day to learn about the Starkey product line. My name is Luis Camacho, and I’m an Audiologist with the Education and Training departments, and I'll be your host for today. Why is Fall Detection and Alerts an important aspect of Livio AI? March 29, 2019 Why is having Fall Detection and Alerts an important part of the Livio AI product? How is Remote Programming Done with Starkey's Hearing Care Anywhere System and Livio Devices? January 28, 2019 Andrea Hannan-Dawkes, AuD, FAAA Remote programming of hearing aids is becoming more and more common. Does Starkey’s system require that professional and the patient to set up a specific time, so they can do they remote programming? What Wireless Platform Does the New Livio AI and Livio Hearing Devices Use? January 2, 2019 Michele Hurley, AuD, FAAA What wireless platform does the new Livio AI and Livio hearing devices use? What Activity Can be Tracked by Starkey's Livio AI Embedded Sensors? December 18, 2018 Luis F. Camacho, AuD, FAAA What exactly is meant by the statement that Livio AI has “embedded sensors”? Why is this unique? 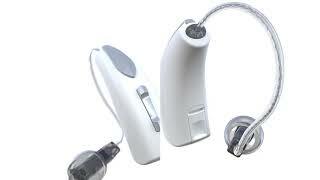 What is the Difference Between Silver Zinc vs. Lithium-ion Rechargeable Hearing Aid Solutions? August 6, 2018 Luis F. Camacho, AuD, FAAA What is the difference between silver zinc vs. the lithium-ion rechargeable hearing aid solutions? Is There a Starkey Rechargeable CROS Option Available to Patients? July 2, 2018 Luis F. Camacho, AuD, FAAA Is there a Starkey rechargeable CROS option available to patients? Will Cognitive Screenings Become a Standard Practice in Audiology Care? May 8, 2017 Jason Galster, PhD Do you foresee the development of a cognitive screening tool designed specifically for hearing healthcare professionals? How Will Sensors and Other Wearable Technology Integrate with Hearing Aids of the Future? November 11, 2016 Simon Carlile, PhD I've been reading about the potential for sensors to be integrated into hearing instruments and I think it's very exciting. What do you think is a realistic timeline for integrating this type of technology into future hearings aids? 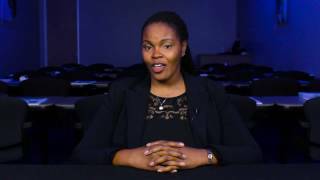 What is the Starkey Hearing Foundation's Listen Carefully Initiative? July 20, 2015 Dave Fabry, PhD, Taylor Joseph I’m seeing more and more kids in my practice with hearing loss from noise. How does Starkey Hearing Foundation’s Listening Carefully initiative address this alarming issue? 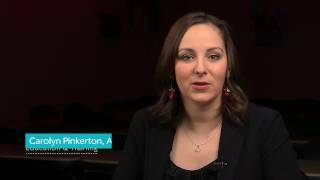 Can Starkey’s Xino Tinnitus be Used for Sound Therapy as Well as a Hearing Instrument? 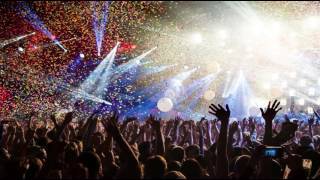 November 11, 2013 Elizabeth A. Galster, AuD Can Starkey’s Xino Tinnitus be used for sound therapy as well as a hearing instrument? Can Starkey’s SoundPoint be Used when Fitting Xino Tinnitus? September 16, 2013 Elizabeth A. Galster, AuD Can Starkey’s SoundPoint be used when fitting Xino Tinnitus? Can I Fit Hearing Aids with a Tinnitus Masker for Patients with Normal Hearing? March 25, 2013 Lindsay Prusick, AuD, CCC-A, FAAA, Dennis Van Vliet, AuD Are there any legal or ethical issues regarding using hearing aids with a tinnitus manager for patients with normal hearing but have tinnitus, if the amplifier is turned off and only the tinnitus manager is utilized? March 15, 2010 Jason Galster, PhD, CCC-A Is it possible to tell if a directional microphone system on a child's hearing aid is working by doing a listening check in the classroom, when no electroacoustic equipment is available? January 25, 2010 Jason Galster, PhD, CCC-A How is benefit from directional microphones affected by the listener's head angle, and how does this relate to children using hearing aids with directional microphones in a classroom setting? June 1, 2009 Jason Galster, PhD, CCC-A My probe microphone equipment does not include live speech mapping and I am hesitant to invest in new equipment just for this one feature. What are the advantages? March 31, 2008 Debra Cowley, MA, FAAA Why do I get the self check failure indicator when the hearing aid is working properly? October 12, 2001 Chester Pirzanski, BSc Can soft earmolds be used as hearing protection in noise? February 25, 2019 Justin R. Burwinkel, AuD, Penny Tyson, MA Starkey's Research & Development team, Justin R. Burwinkel, AuD, and Penny Tyson, MA discuss Fall Alert technology in Livio Al™. January 28, 2019 Achin Bhowmik, PhD Starkey Hearing Technologies’ Chief Technology Officer & Executive Vice President of Engineering, Dr. Achin Bhowmik, offers a sneak peek into Livio AI’s revolutionary new features. October 29, 2018 Dave Fabry, PhD, Brandon Sawalich Starkey's Dave Fabry, PhD and Brandon Sawalich provide an overview of Starkey's Livio and Livio AI. 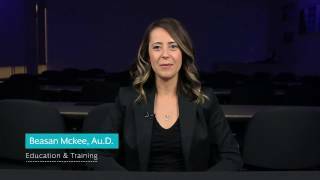 June 1, 2018 Carolyn Pinkerton, AuD Interview with Dr. Carolyn Pinkerton on the StarkeyU program and student programs at Starkey. February 7, 2011 Brent Edwards, PhD Topic: Starkey Research, and How Do You Define Success with Hearing Aids? 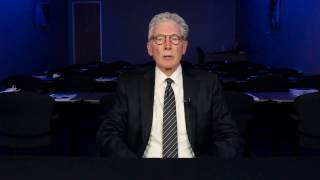 Interview with Barry Freeman, Ph.D., & Harvey Abrams, Ph.D.
April 26, 2010 Jerry Ruzicka Topic: Starkey Innovations Introduced at AudiologyNOW! Interview with Jerry Northern, Ph.D., Director of Professional Services, Starkey Laboratories, Inc.
March 30, 2009 Jerry Northern, PhD Topic: It's a Great Time to be an Audiologist! Starkey's Research & Development team, Justin R. Burwinkel, AuD, and Penny Tyson, MA discuss Fall Alert technology in Livio Al™. 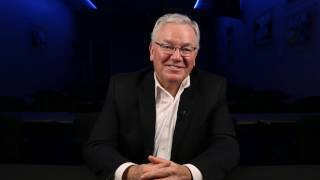 March 29, 2019 Starkey's Research & Development team, Justin R. Burwinkel, AuD, and Penny Tyson, MA discuss Fall Alert technology in Livio Al™. Authored by Michael Valente, Ph.D. and Kristi Oeding, this is the fourth article in the Starkey Audiology Series, Volume 1. September 10, 2012 Authored by Michael Valente, Ph.D. and Kristi Oeding, this is the fourth article in the Starkey Audiology Series, Volume 1. Authored by Robert W. Sweetow, Ph.D., this is the third article in the Starkey Audiology Series, Volume 1. July 1, 2010 Authored by Robert W. Sweetow, Ph.D., this is the third article in the Starkey Audiology Series, Volume 1. The second paper in the Starkey Audiology Series, a series of opinion papers by renowned experts in the field of audiology. The series is available online at StarkeyPro.com in the Audiology & Education section. May 8, 2009 The second paper in the Starkey Audiology Series, a series of opinion papers by renowned experts in the field of audiology. The series is available online at StarkeyPro.com in the Audiology & Education section.